No other plant has garnered quite so much attention as the humble weed plant. Throughout history it has been celebrated — even deified — for its curative and euphoric properties. But, especially in recent decades, it has also been vilified, wrongly categorized and cast into the center of raging controversy. From “Reefer Madness” in the 1930s, to planting “Hemp for Victory” during WWII, to our current status — knocking at the door of legalization nationwide after decades of strict prohibition gave way to a gradual policy thaw — cannabis has been a ubiquitous feature of the American experience. Cannabis is again taking center stage. So it’s fitting that we take a look back at the most influential recent writing on marijuana and celebrate the books that have highlighted the subject and the triumphant march toward freeing this useful plant. This compilation highlights strains that have withstood the test of time and crossed into the glistening light of the new era of legalized cannabis. It’s culled from cannabis legend Ed Rosenthal’s iconic “Big Book of Buds” series. VICE and High Times reporter David Bienenstock’s breezy, smart paperback for weed fans and allies covers standard “Weed 101” reference material. Topics include flying high and travel, how to throw weed-infused dinner parties and what to do when you’re “too high” in public. The authors of this book teamed up to produce a detailed work about the nuts and bolts of the cannabis industry in response to the onslaught of newcomers entering the legal green rush. A great entry point for consumers, entrepreneurs and financiers looking for entry into the new marijuana economy. A comprehensive work detailing the nuances of safe medical marijuana use and access in the U.S. 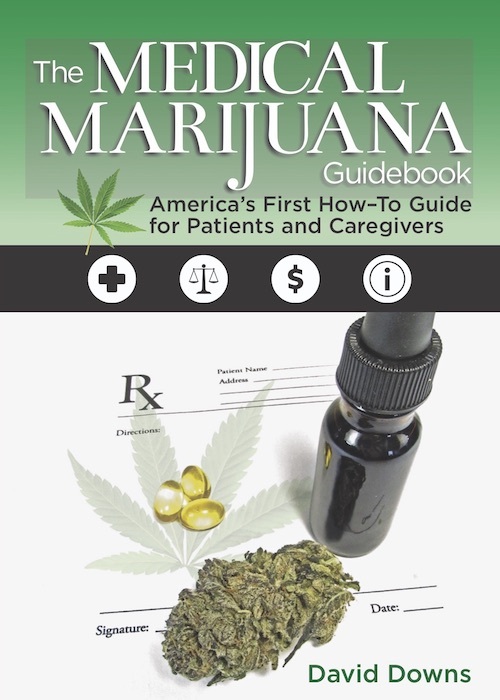 It covers topics ranging from how to obtain a doctor’s recommendation, to which states cannabis is legal in, to medical uses and plant varietals. This book breaks down the methods employed to attain the Holy Grail of weed cultivation – three pounds of killer cannabis grown under one sodium light. Growing procedures are straightforward and concise, and the book itself is a work of art. A collection of intriguing profiles about women and cannabis, accompanied by images and quotes from each source. The book highlights a broad spectrum of diversity in age, era, ethnicity, social status and profession, giving us a rich blend of perspectives. 7) “Stoned: A Doctor’s Case for Medical Marijuana” By David Casarett, M.D. A physician’s journey as he searches for the answers to the question of cannabis use and its value in medicine. Casarett describes his personal experimentation and encounters with a wide array of cannabis users, including a couple treating their two-year-old child with the plant. With a highly-readable and entertaining narrative style, this book recounts how the author’s husband, Robert Randall, was able to become the only legal pot smoker in America through a federal Investigational New Drug program. While the bulk of the book focuses on stunning photos of high-quality bud, it also includes an adept chronicling of major and minor active cannabinoids, plant anatomy and phenotype as well as many of the terpenoid compounds present in cannabis. Told in an entertaining and scholarly manner, the authors relate the fascinating true tale about the history of smuggling Thai-weed during the ‘60s and ‘70s. Interviews with the pioneers of the first legendary weed trade make this a must-read.